WASHINGTON, April 14 (NNN- Yonhap) — U.S. President Donald Trump said Saturday that a third summit with Kim Jong-un would be “good,” after the North Korean leader expressed openness to another meeting. The North Korean leader also said his relationship with Trump remains excellent and that he will wait until the end of the year for the U.S. to make a courageous decision regarding their negotiations to dismantle the North’s nuclear weapons program in exchange for sanctions relief. “North Korea has tremendous potential for extraordinary growth, economic success and riches under the leadership of Chairman Kim. I look forward to the day, which could be soon, when Nuclear Weapons and Sanctions can be removed, and then watching North Korea become one of the most successful nations of the World!” he added. U.S. Secretary of State Mike Pompeo also said he is “confident” the two countries will make progress in their nuclear negotiations, adding that they have “continued to have conversations” even after the Hanoi summit. In February, they held a second summit in Vietnam, but failed to produce any agreement. 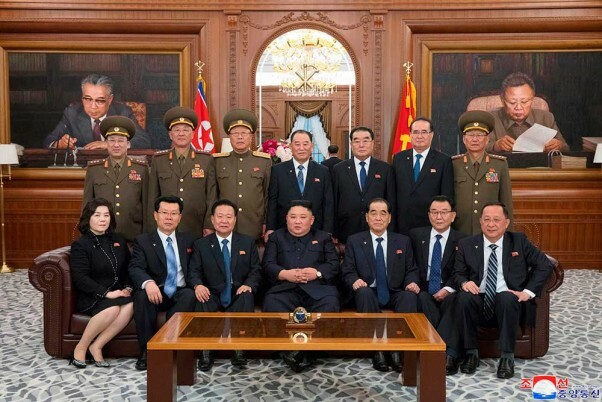 The breakdown was attributed to a gap between U.S. demands for complete denuclearization and North Korean demands for significant sanctions relief.